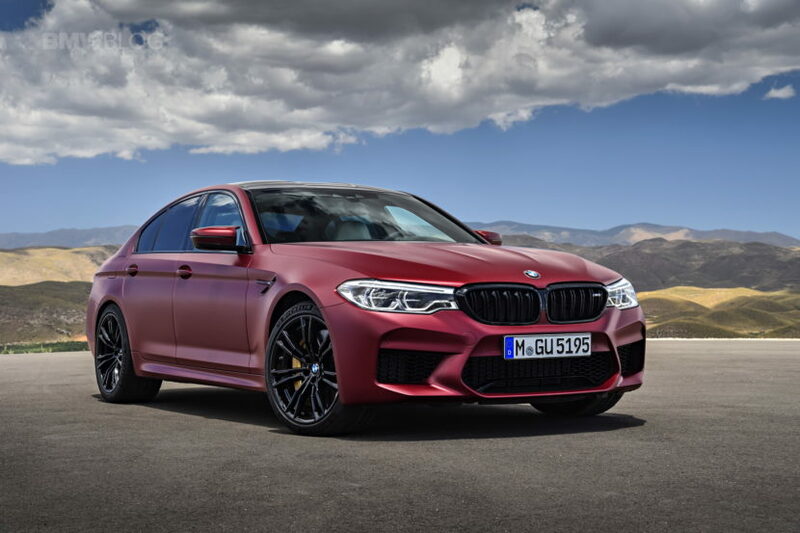 As the name suggests, the BMW M5 First Edition models will be the first to get delivered to customers worldwide, for a premium, of course. BMW launched the cars for those who just had to have one before anyone else and they do come with a couple of distinctive features like the Frozen Dark Red Metallic paint. As you will notice, four of the BMWs loaded on the cargo truck in the picture above are wearing that exact paint. This seems to be one of the first shipments of the rare M5 models. The picture was taken in Europe and shows four of the only 400 First Edition BMW M5 models to be sold heading to dealers around the world. Simple math tells us that this here represents 1 percent of the production of these cars and that’s something you definitely don’t get to see every day. Imagine seeing 1 percent of all X4 models ever built at the same time. That would translate into 2000 of the first gen model SACs gathered together. The First Edition M5 is coming with a bit more than just a special color on the outside. Those who already ordered one know that there’s a hefty price premium to be paid, to be able to drive an F90 M5 before anyone else. In Europe that’s an extra 19,000 Euros but when the car costs over 100,000 anyway, who cares about such small figures anyway, right? Deliveries of these special models are kicking off this spring and production is scheduled to last until June, which should be enough to build all of them. Then again, rumors are talking about a possible Competition Pack already being under development and coming out later this year. For those who can wait, that may be an even better proposal, with more power and better handling. Next post Video: What Happens If You Fill a BMW Z3 with Liquid Nitrogen?